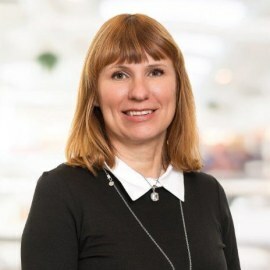 Camilla Rosenberg came to the Swedish Gambling Authority in September 2015 as head of the operations department with responsibility for the Authority's permit and supervisory activities, and has been acting Director-General since May 2017. She was appointed Director-General of the Swedish Gambling Authority in October 2017. Ms Rosenberg previously worked at the Swedish Energy Agency, where she held various managerial positions, including most recently that of chief legal officer. She has also previously worked at the Swedish Gambling Authority and as a tax adviser.